NALIS National Academic Library and Information System is an organization based in Sofia, Bulgaria, co-founded by three major public academic units – Sofia University (the main university of Bulgaria), the American University in Bulgaria and the Central Library of the Bulgarian Academy of sciences. 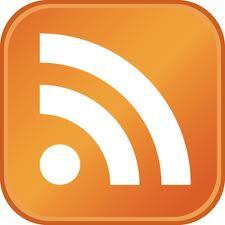 Executive director is dr. Dincho Krastev. It was created to provide valuable answers to the challenges the librarianship is facing in Bulgaria, such as developing collaboration between academic libraries, balancing the cost of scientific publications and of specialized online sources of information with the unavoidable financial restrictions that are imposed to public funding; fostering a true involvement of Bulgaria and its cultural institutions in digitization processes and in the rapid deployment of digital libraries in Europe and the world. 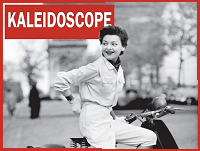 Currently, NALIS is one of the partners of EuropeanaPhotography project, acting mainly as the coordinator for the digitization of photo collections of major cultural heritage institusion such as the National Archives, the Museum of Sofia, the National Archeological museum, and others. This year, the General Meeting of the NALIS Foundation is joined to the celebrations of the 125th anniversary of the Sofia University, and includes an important workshop: “Undisclosed Treasures from the Photo-archives, a Workshop in the framework of EuropeanaPhotography”. Following the workshop there was the official opening of an exhibition: “Treasures among the Donations to Library “Theology” of the Sofia University “St. Kliment Ohridski”. 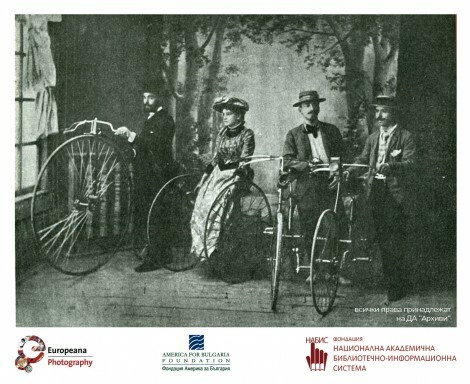 Invitation card reproducing an historical photograph dated 1887: “The members of the first bicycle team in Tarnovo”, State Agency “Archives”, Bulgaria. The event was also very much emotional, as there was a student occupation of the central University building going on, and the venue was changed last minute. It was opened by a welcome speech by Dr. Evgeni Dimitrov and an introduction to NALIS “The NALIS Foundation – New Technological Solutions” by Dr. Dincho Krastev (Executive Director of NALIS Foundation) and Sabina Aneva (Deputy Executive Director of NALIS Foundation). 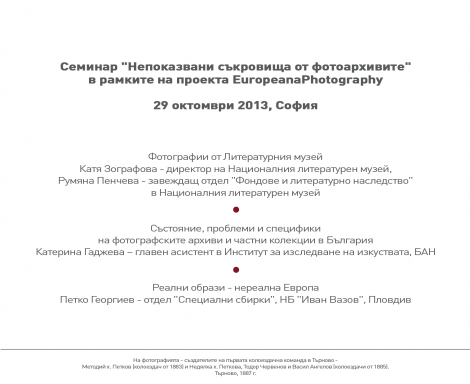 The workshop was very interesting, and the speakers were very enthusiastic to have the rare opportunity to speak about old photographs in front of an audience of professionals and librarians, who are interested in the topic themselves and have the access to photographic collections in their libraries. 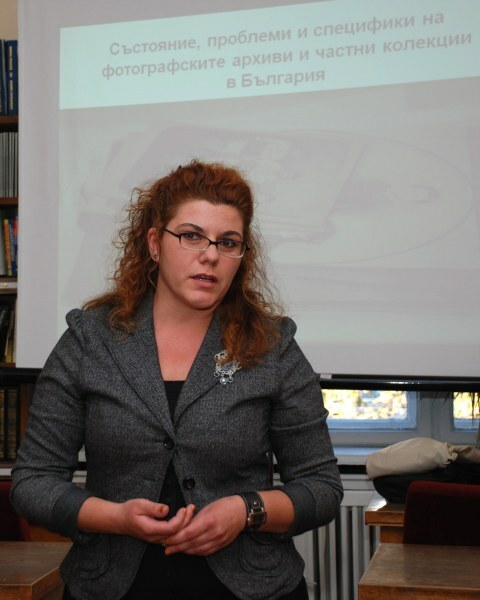 Rumjana Pencheva, Head of Holdings and Literary Heritage Department at the National Museum of Literature: Boris Rumenov Known Best as Borjo Zevzeka (1884-1944). She also discussed another presentation: Writers as Kids. 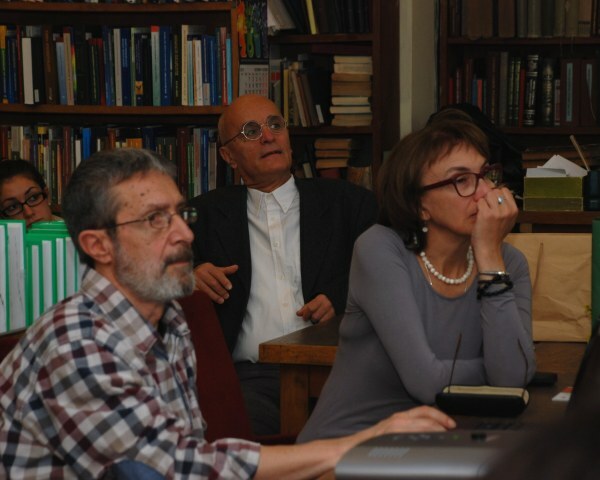 After the workshop, there was the formal opening of the exhibition “Treasures among the Donations to Library “Theology” of the Sofia University “St. Kliment Ohridski”, followed by a cocktail party, celebrating the 125th anniversary of the Sofia University “St. 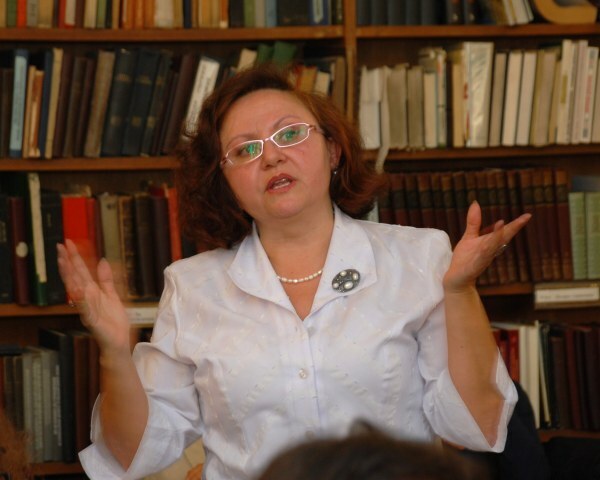 Kliment Ohridski”, given by the Director of the University Library Dr. Anna Angelova. 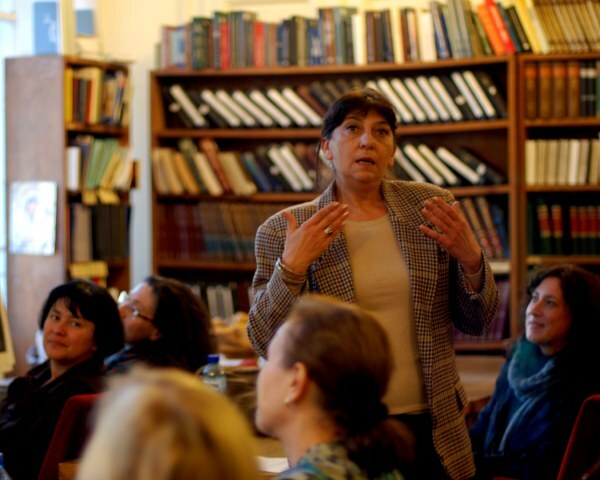 Other pictures of the event are available on the dedicated page on NALIS’ website.